Susie Harris: Finding the right color.. The perfect shade of black. After 3 tries... It. Was. About. Time. I first started with a slate black from Home Depot. I painted it and stepped back... hmmm? Everyone thought it was blue. 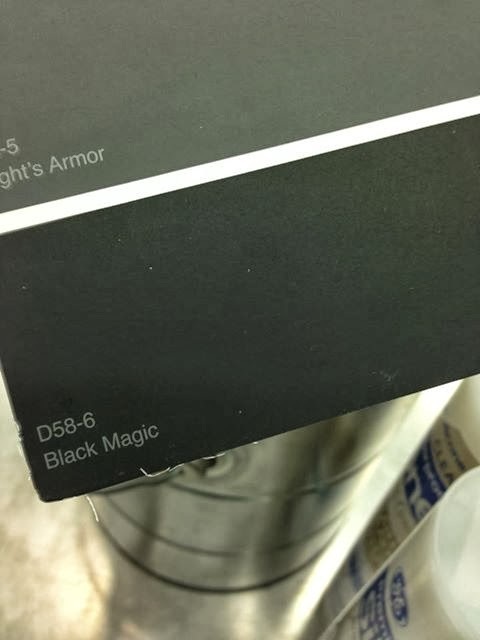 Attempt #2 found me at Lowe's with Black Magic. Only to find out it was too black. Funny thing was, my husband never noticed the change in wall color. Can you spot my new little table? I found it at Target and it was just what I was wanting. And that yummy warm sweater blanket, Target! 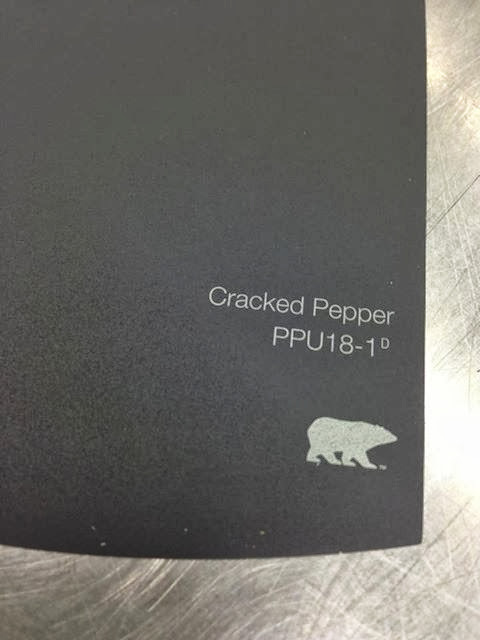 So here you have it folks... Cracked Pepper. 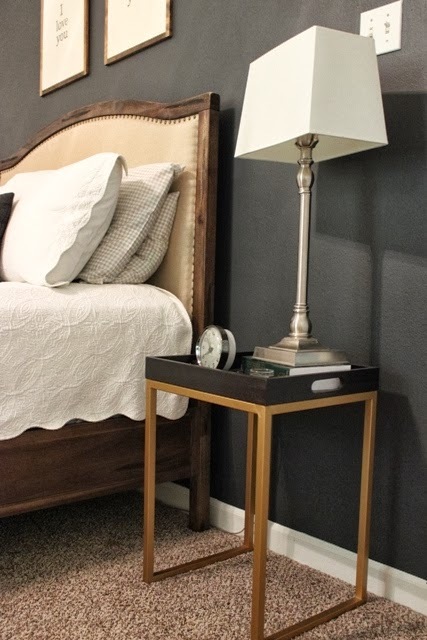 Do you struggle with paint colors? Are you a sample painter or a full blown paint the whole wall and wait and see? I'm a whole wall kinda gal..
You think I would have learned by now? I am definitely a sample painter. When we decided to paint our kitchen I had so many different color samples on the wall it looked like I was painting it in large different colored polka dots!! We settled on a beautiful soothing gray. I love it! 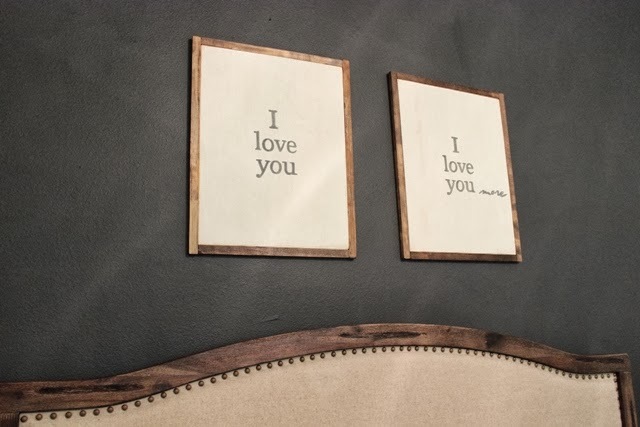 Your room has turned out just gorgeous! Love your new table! Love the color! 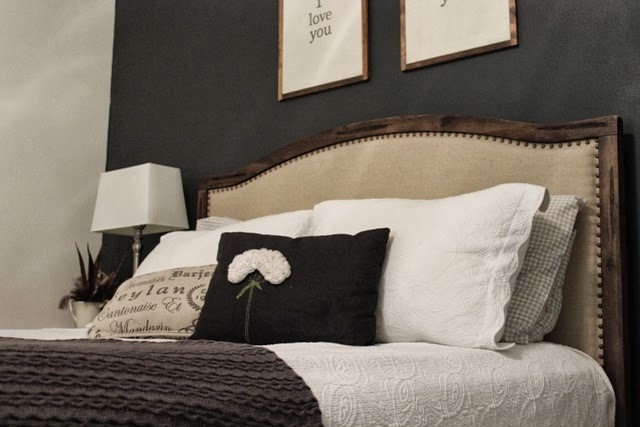 Do you mind sharing where you found your white matelasse coverlet and pillows?? I found them a few years ago at Bed Bath and Beyond. Thanks Heather! 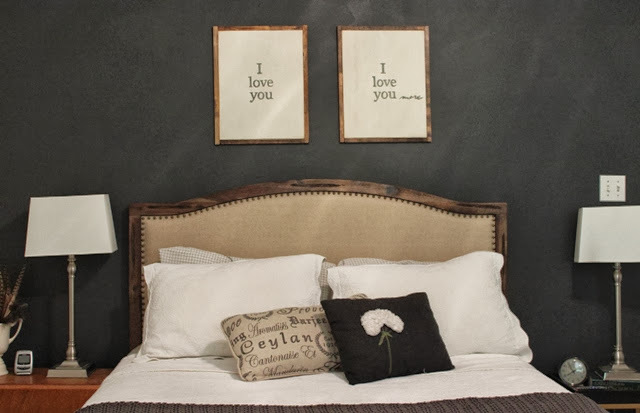 The headboard came from World Market in Baton Rouge. PS - love your new blog look! Love the wall color! 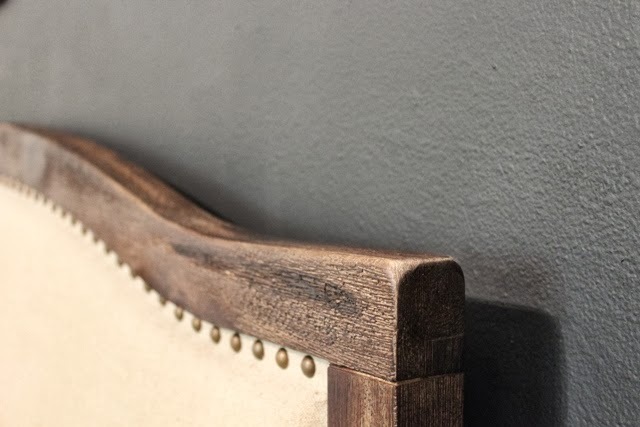 Your headboard looks so great against the blackboard like wall! could you share with us the link or the actual name of the Target blanket pretty please? Love it. LOVE that blanket! And yes, I am so indecisive on paint colors. So much so that I just don't paint because I'm afraid of making the wrong decision! In the land of cotton..